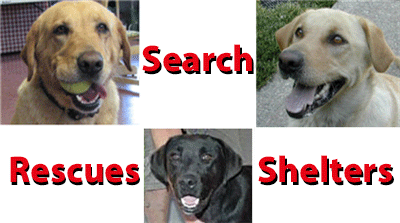 Whenever possible, GGLRR will post Labs for individuals who must find a new home for their pet. Dogs on this page have not been met and evaluated by GGLRR and are not part of our program. 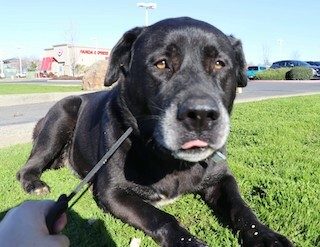 We only provide this listing service as a courtesy for a month to Northern / Central California Labs and assume no responsibilities for the dogs posted on this page. Please contact ecdugdale@gmail.com if you have a dog you would like us to post on this page and provide the posting as you would like it to appear on the page.. 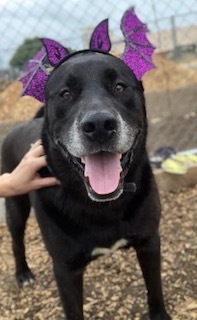 Please note since we are a Lab Rescue, we only list Labrador Retrievers or Lab-mixes that appear to be mostly Labrador. We welcome donations from those who benefit from our maintenance of this web page. Lab Links and Resources for more links to specific shelter and rescue websites. Rhett is estimated in the 4 to 5 year old range and is about 55 pounds. We believe he is mixed with a Ryukyu-ken dog which is a breed of dog that is indigenous to the Ryukyu Islands of which Okinawa is a part of. He is a beautiful tan/brindle color and he is really great dog that would do well in most homes. He loves children and has been fostered with a child or two for his entire time in foster care. He would likely do better with older, sturdier children (8+) because he's still working on house manners and not jumping up on people. He is good with most other dogs with a proper introduction but does have some resource guarding with his crate (and other dogs). He is good with cats also (being fostered with 2). Rhett's vaccines were just updated, he is neutered, micro-chipped and we treated his heart worms last summer (June/July) and he is now heart worm negative. Rhett does know some basic commands and loves to go on walks, however he does pull a fair bit on the leash. We've tried several different harnesses with him and he's now using a 2 Hounds Freedom Harness which seems to slow him down. He could benefit from working with a trainer on his leash skills and meeting dogs while out on walks. 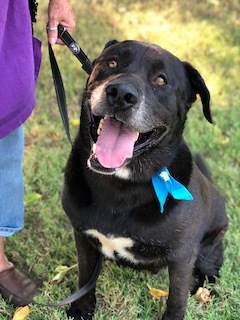 We are looking for a new home for Buck, a Lab mix who was taken in by a Lab Rescue volunteer, and also looking to raise funds to help cover unexpected surgical costs for Buck, as his left ear needed to be completely removed due to a tumor. Buck was a constant companion for a young military man until he was deployed to Afghanistan. With no immediate family in the area, he was able to place Buck elsewhere with the expectation that they would be reunited in 12 months. 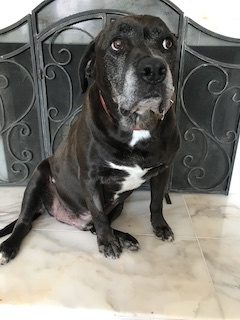 Unfortunately, the deployment has extended, and he was placed into our home as a foster until he finds a family with whom he can live out his senior years. We decided to foster Buck not only because am I a foster home for Labs but I am a veteran as well. 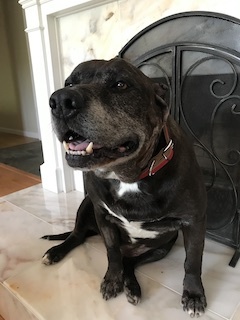 Buck was diagnosed with a Mast cell tumor on his left ear. Due to the size of the tumor and to minimize risk of the tumor returning, the left ear was completely removed. The diagnosis and subsequent surgery were unexpected and the cost was significantly higher than anticipated, totaling to $5,500. Buck is doing great and has fully recovered after surgery. We are reaching out to the dog community and others for help in offsetting the cost of the procedure, and getting Buck ready for adoption. We have enclosed a few pictures of this wonderful dog for your enjoyment. I will be happy to provide all the veterinary costs upon request. If you are interested in adopting Buck, please contact Charles MacNulty at cmacnulty@comcast.net. We're kind of amazed that Bubbles is still with us. 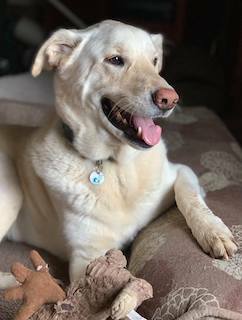 She's a 7 year old yellow lab, calm, quiet, sweet and easy. She's friendly, housetrained, crate trained, great in the car and a sweetheart at the vet. 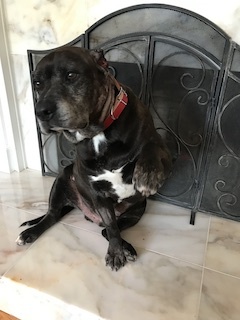 Bubbles gets along beautifully with a dozen dogs in her foster home and greets other dogs politely on walks but would prefer to be the only dog in the home. She could live with a mellow dog and some mild management. She hasn’t lived with cats previously but is respectful of a savvy cat in her foster home. 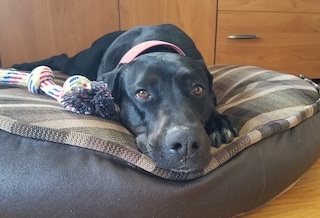 This young, loving female Labrador Retriever mix is ready to leave the shelter for good and move in with a forever family. She is available for adoption from the Humane Society of the North Bay in Vallejo. 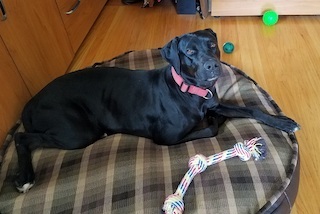 Maggie is calm, gentle and sweet, but this ~2 year old is up for adventures walking, hiking or running with very little tugging with a leash attached to a chest loop on a harness. She is fully housebroken and knows sit, down, paw (shake) and is ready to learn more. She appears to be good with other dogs on proper introduction, but she has not been fully vetted yet. We are not sure about cats. 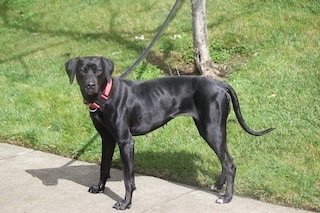 If you are interested in meeting Maggie, call the Humane Society of the North Bay at 707.645.7905. The shelter is open Tues.-Thurs. from 11 am to 5 pm. (Meet & Greets must be initiated before 4:30 pm). Since Maggie is spending some time in a temporary foster home, call before coming so we can make sure she is there to meet you. 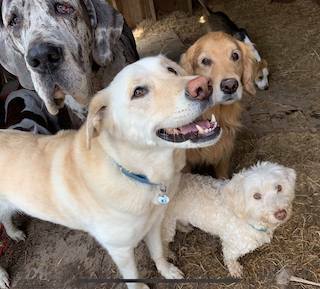 The big Moose has been with Wags and Whiskers pet rescue of Chico since August 2018… but they are primarily small dog rescue and folks don’t come too them to adopt a big Lab. Originally from Glenn County Animal Control where he’d been picked up as a stray. Very friendly. Enjoys snacks and petting. 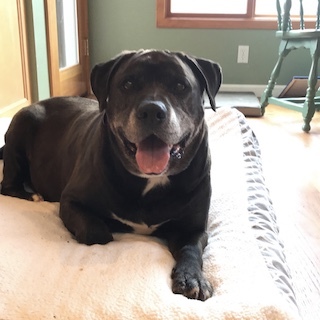 Sweet and mellow, Moose loves people and gets along fine with other dogs. While he is pretty good on leash, he is fairly strong if he decides he wants to go somewhere. 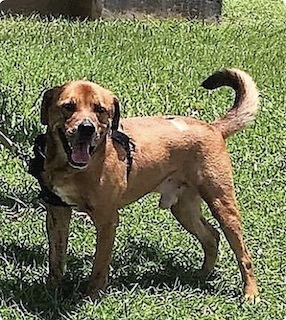 Moose is neutered, current on vaccinations, microchipped, and heartworm negative. Moose is located in Chico. 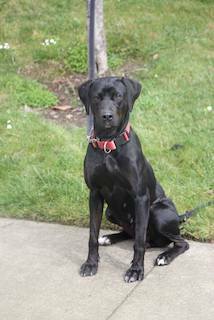 If you are interested in Moose, please contact Lucy Parks at lucyparks21@gmail.com or 530-895-8888 or 949-394-4001. Even with all our volunteers, it costs a lot to save and place ~250 Labs a year. There are costs to bail-out these dogs from the shelters along with vet and temporary kennelling costs when no foster homes are available. Please consider a donation of cash, vehicle, or even your time through volunteering.